The Montreal Alouettes have signed international defensive end Gabriel Knapton to a one-year deal, the team announced Thursday. 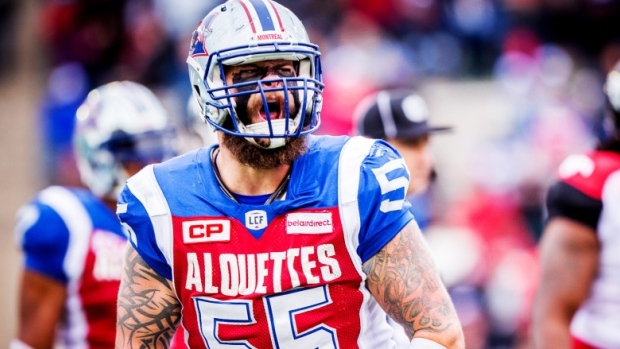 Knapton spent last year with the team and has been with the Alouettes five of his six seasons in the CFL, spending 2017 with the BC Lions. In five games with the Als last year, the 29-year-old finished with 11 tackles and three sacks. In 81 career CFL games, Knapton has 201 tackles and 36 sacks.